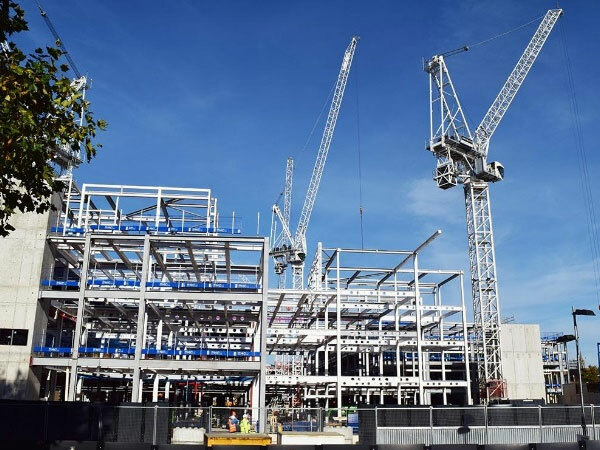 BHC Ltd. gained the 7,000 tonne steelwork contract for the £440m redevelopment of the Westgate Shopping Centre in Oxford. 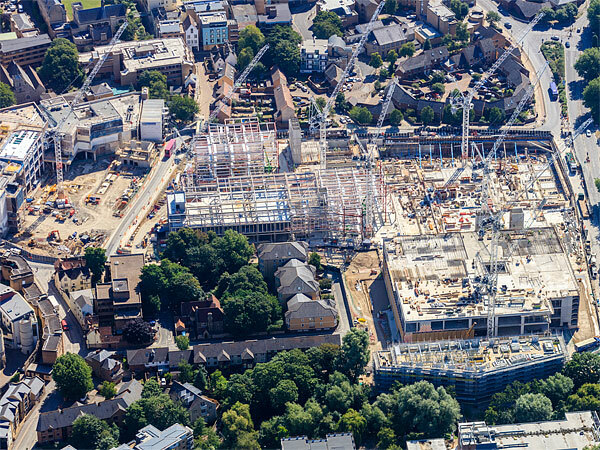 The redevelopment of the Westgate Centre is the largest construction project in Oxford city centre for over ten years. The 1970’s arcade and its former carpark will be transformed into a 74,300 m2 retail and leisure destination. 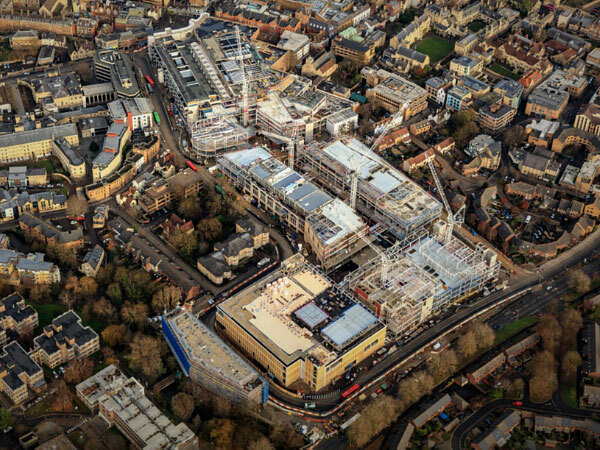 Once complete, the Westgate Centre will include over 100 new retailers including a John Lewis anchor store, 25 restaurants, a cinema and five rooftop gardens. 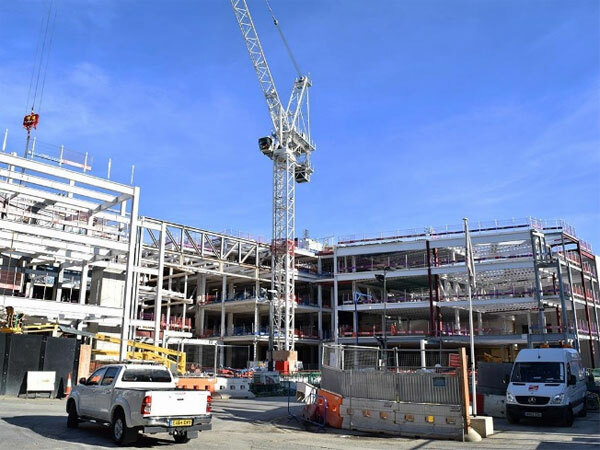 Before BHC Ltd. began work onsite, the existing reinforced concrete shopping centre had to be partially demolished, leaving three quarters of the structure to be integrated into the new structure which will become the new main entrance into the shopping centre. 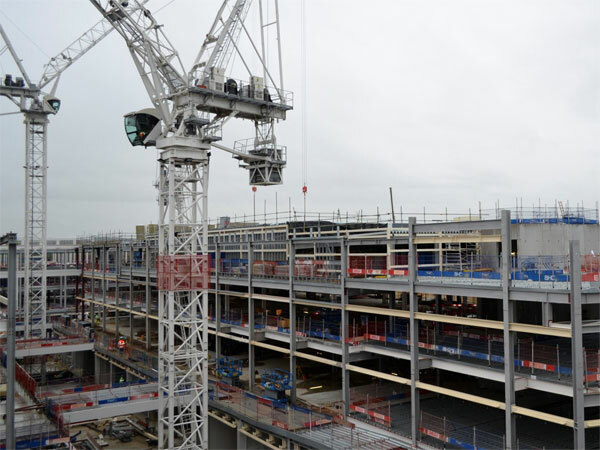 The redeveloped section of the shopping centre will directly connect into the new covered shopping street section which will be covered by a glazed roof. BHC erected three, three-storey extensions including a basement, which will be used as a service yard. As delivery vehicles require large, open spaces, BHC fabricated three large steel trusses weighing up to 33 tonnes each and measuring 25 m long. These trusses are the depth of the first and second floors, with the top bottom boom being at second floor and the bottom boom being at first floor. 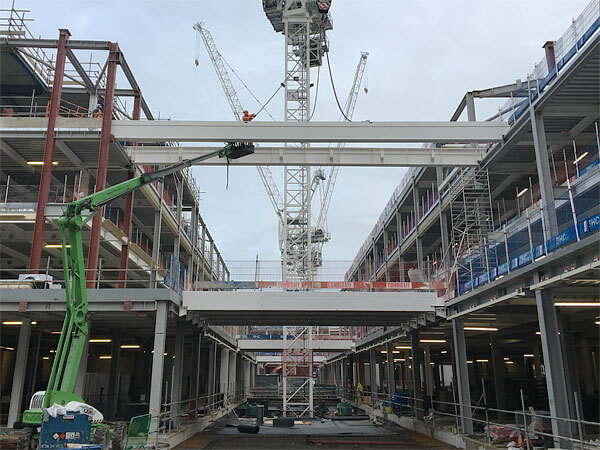 BHC predominately used the main contractor’s (Laing O’Rourke) tower crane for erecting steel, however, the larger trusses required mobile cranes to be brought on site. The three new buildings are linked by a series of steel bridges connecting the second and third floors. The longest bridge erected by BHC spans 22 m across the main covered street. The new steel framed buildings have been erected around a 7.5 m x 7.8 m grid pattern whereas the car park structure follows a 7.5 m x 15.6 m grid. Steel framed construction was chosen for this project, as it offers flexibility as tenant requirements change over time. The design can allow for columns to be removed in order to create larger stores.